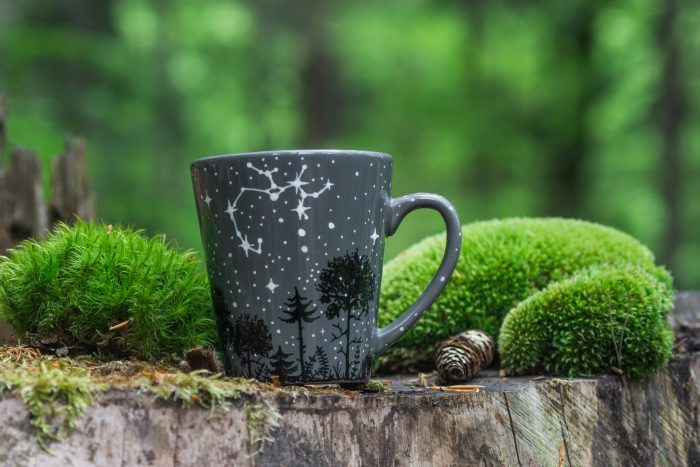 Choose you own constellation and I will paint it for you. 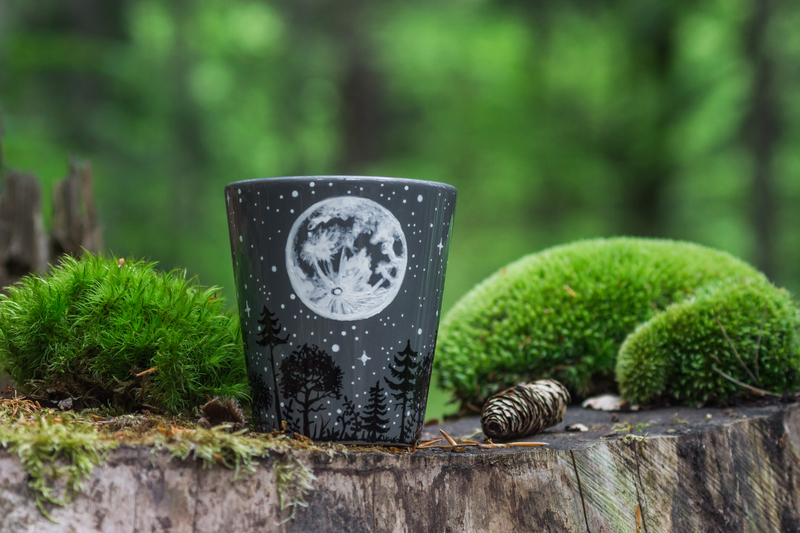 I always loved nature and I think the night is the most magic and mysterious time of the day… And one day the landscape with trees, moon and stars were created, which I’m upgrading all the time. 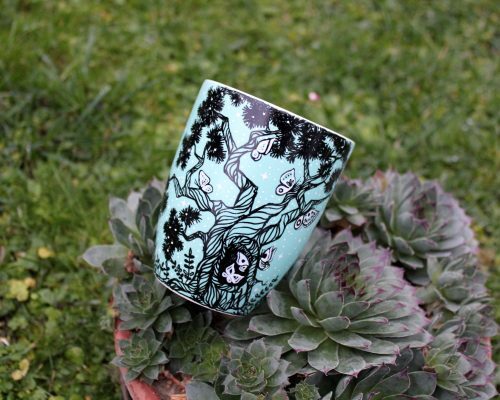 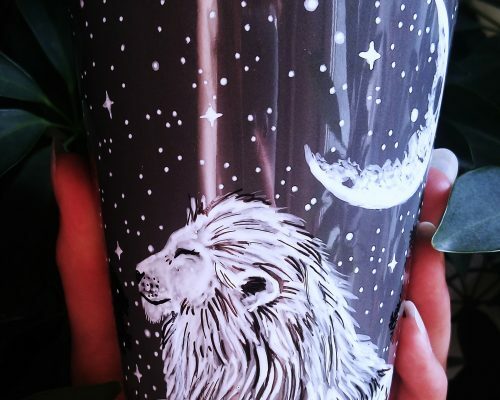 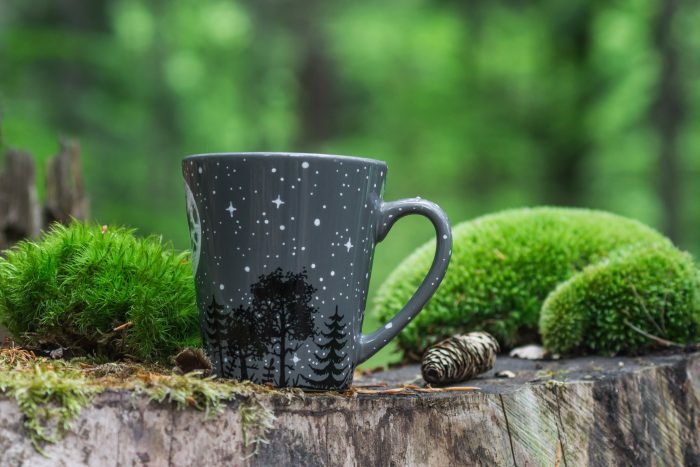 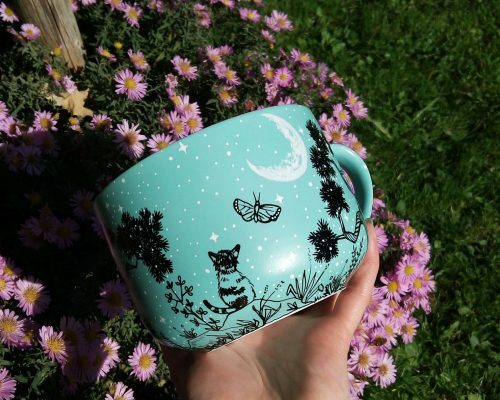 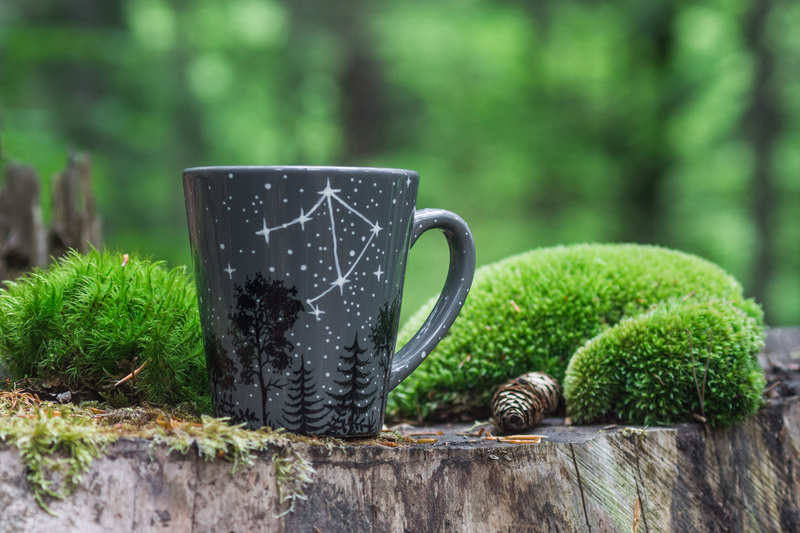 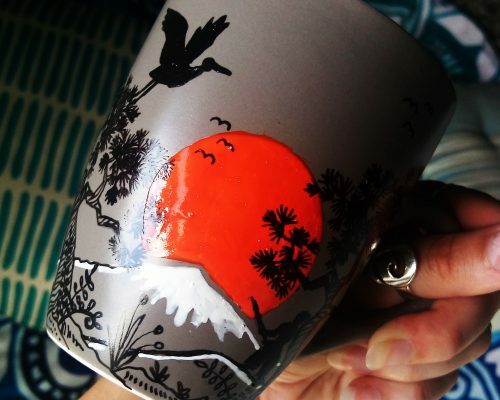 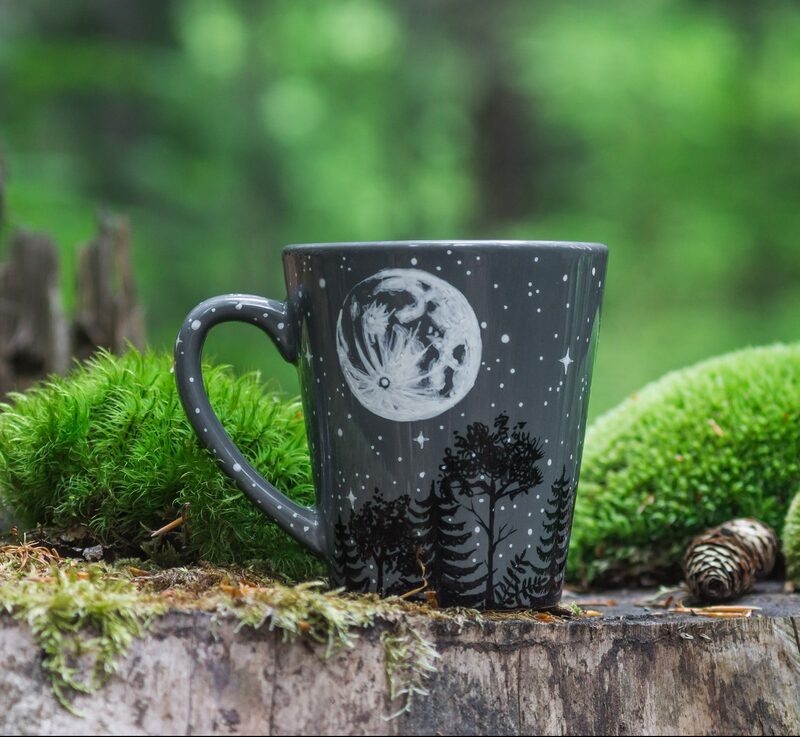 The mug with full moon and forest is made to order you can choose your astrological constellation like lion, Gemini, cancer,… You can even choose other constellations that you would like to have painted on the mug; then send it to me in the check out.